Subsistence rules: no loadout, no companions. In Now Playing articles PC Gamer writers talk about the game currently dominating their spare time. Today Phil mines more action out of the excellent MGS5. 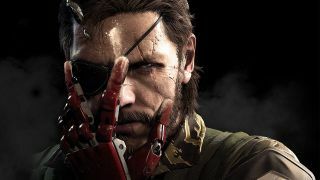 I’ve played almost 80 hours of Metal Gear Solid 5, and much of it in a specific way. I’m almost entirely silent and non-lethal, with silencers on my various tranquiliser pistols and sniper rifles. I’ve even equipped Quiet with a non-lethal rifle, meaning most outposts are already dozing by the time I arrive. And when stealth does fail, I fall back on sleep grenades, smoke grenades, active decoys and—most effectively of all—running away. It’s a fun way to play, but, outside of boss encounters, I’ve rarely felt the need to switch up my tactics. This isn’t a story about me actively seeking new ways to play. Instead, it’s MGS5 that forces my hand, offering special versions of previous missions with specific restrictions. The most interesting of these is the ‘Subsistence’ rule, in which all weapons and items must be procured on-site. I can’t choose what time of day I arrive, nor bring a companion along—not even the horse. I’m unequipped and unprepared, without even a cardboard box to my name. As I exit the helicopter, the sun is high in the sky. That’s not great when you’re an unarmed man crouch-walking through a warzone. I approach a small outpost, hoping to find a few weapons before tackling the mission proper. A distant guard spots me immediately. In a panic, and with no other options, I repurpose an old tactic: I run. Not away, but directly towards the guard. He opens fire, and the screen turns red as the bullets connect. I keep running. I’m nearly dead, but I reach the guard in time. Snake slams him to the ground, knocking him unconscious. That went badly, but I do at least have a weapon now—a basic SVG-76 assault rifle with a handful of bullets. My actual objective is to destroy some comms equipment in a nearby base. I decide to plot a path through the mountain, as the high ground should let me scout the area unseen, but my route leads straight into a wolf’s mouth. I quickly dispatch my canine attacker, but the gunfire draws the attention of the base’s guards. Actually, this is good. The guards are leaving the base to explore the mountain. If I drop down off this cliff, I’ll be clear to complete my mission. Before I can even finish the thought I step on a mine. The explosion doesn’t kill me, but I’m wounded and now the base is on full alert. I dive into a nearby building. Outside, guards in riot gear shout instructions through radios. In the distance, I hear an enemy helicopter. I prepare for a last stand, but then realise I’ve taken shelter in the outpost’s ad-hoc comms building. Finally, some luck. I shoot the comms station, completing the mission but alerting every nearby guard to my location. Maybe variety and improvisation are overrated. Maybe it’s okay to stick with what you know; what you enjoy. That’s what I tell myself as I dive out of the window and, once again, bravely run away.